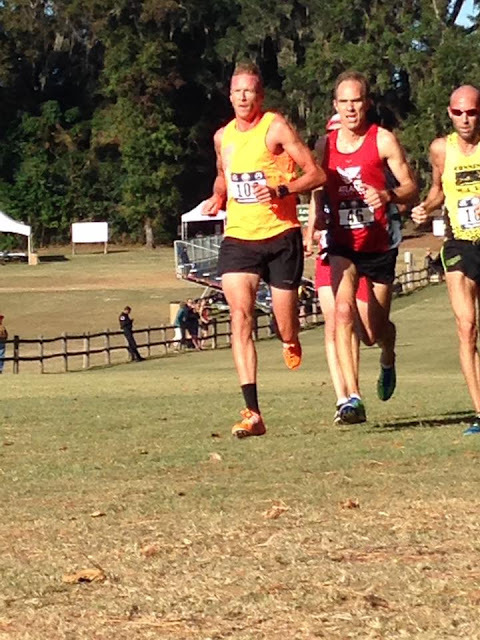 This is the second in a series of previews of the Masters races in the upcoming USATF Club Cross Country Championships this coming Saturday in Tallahassee Florida. So far the forecast for a clear but cold morning is holding. This preview focuses on the individual races for the age groups 50-54 and 55-59. 50-54. Marisa Sutera Strange is the defending champion and is heavily favored to repeat. Last year she took the title by almost a minute. Several other strong runners will push her in the early stages but it is not likely they will be able to stay with her all the way to the finish. 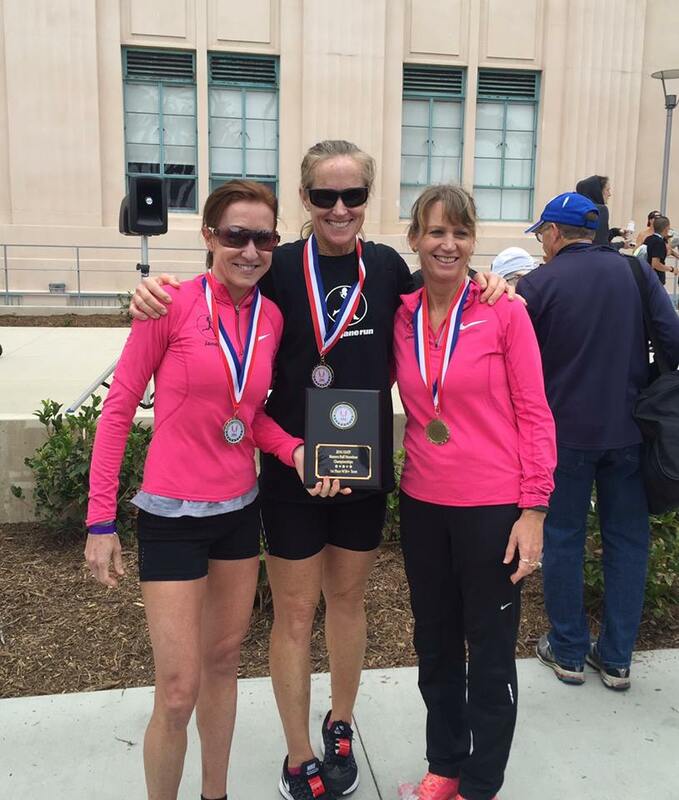 Trish Butler and Katherine Wolski should be battling for 2nd and 3rd again, as they did at the 5 km Masters XC Championships last month in Tallahassee. At that event, Wolski had it her way, taking 2nd place, 9 seconds ahead of Butler, and a half minute back from Strange. A longer distance should benefit Wolski who has run a solid 15K and Half Marathon this year. Of course the difference for the women from 5K to 6K is not as significant as the difference for the men-who run 8K or 10K. 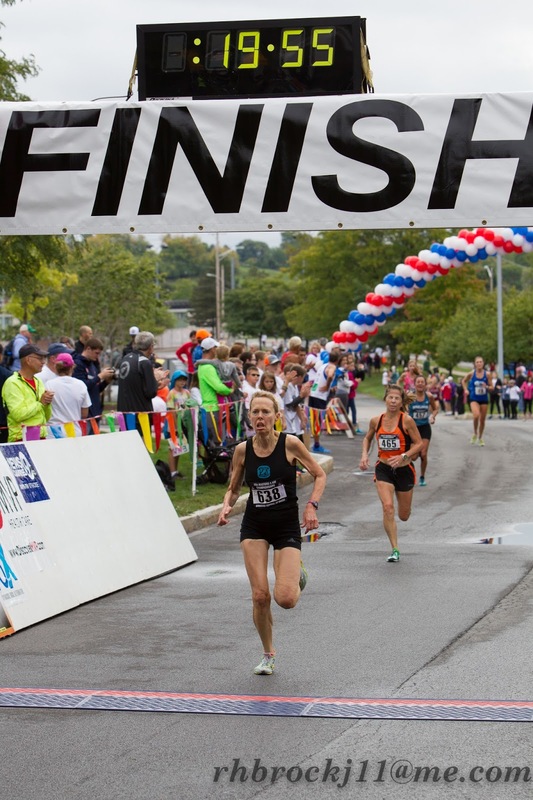 Two runners from the Jane’s Elite team will attempt to derail the Butler-Wolski train. Tania Fischer finished 2nd in the Women's 45 division at the 2013 Club XC Championships and 3rd last year in that division in . As recently as April, she ran an 18:38 at Carlsbad 5000. However, her times have suffered lately, perhaps because of injury. Her teammate, Kathleen Cushing-Murray, whom Fischer beat at Carlsbad by over a minute, recently beat Fischer by 30 seconds at the Southern California Cross Country Championships. But part of that reversal may be due to Cushing-Murray having a very strong year. She also has a 1:04 on the tough, hilly 15K at the USATF Championships in Tulsa. Liisa Miller may also have a role to play as she finished 3rd in the age group last year at Club XC in 23:37, a minute back from Strange and 24 seconds behind Fischer. Other strong runners in this group include:Michelle Allen, Kathleen Hayden, Joan Mabe, and Kelle Taylor. 55-59. This should be quite a tussle among Susan 'Lynn' Cooke, Lorraine Jasper, Paula Johnson, and Mary Swan. In the USATF 5K Championship at Syracuse, Athena teammates Swan and Jasper, who both aged up this fall, had about a half minute on Cooke, who may have had an off day. But jasper and Swan have loads of experience and much success on the national circuit. Johnson also did well as she was only 4 seconds back from Cooke. 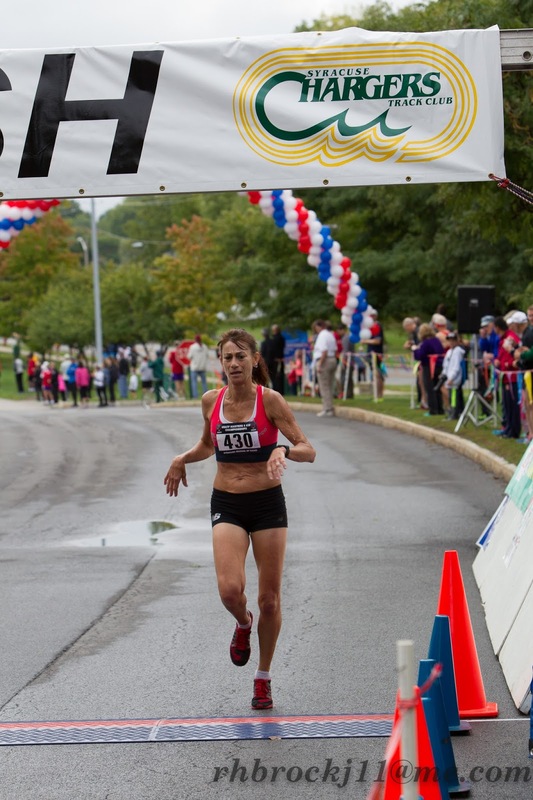 But Cooke bounced back to take the W55 win at the USATF 5 km Masters XC Championship last month in 20:26. Her time on the XC course was faster than her time at Syracuse; most runners who ran both ran slower at Tallahassee. Patrice Combs could also break through to the podium; she was only 3 seconds back from Johnson at Syracuse. Other strong runners in this group include Kelly Kruell who took 4th in the W55 group at the USATF 8K Championship in Brea, Margaret Sloan, who took 2nd in the age group last month at Tallahassee, and Alice Smoot who has run 5K's as fast as 21:30. 50-54. It is tempting in these previews to follow the approach adopted by Captain Louis Renault in the WW II movie, Casablanca and just "round up the usual suspects." That immediately gives us the usual contenders, Rob Arsenault, Kristian Blaich, Francis Burdett, Carl Combs, Nat Larson, and Eric Stuber. But in Masters running, it is never that easy, people age up and there are new additions to the mix. This time it is two New Englanders; Peter Hammer turned 50 in July and Kent Lemme aged up to M50 in November. Last year Mike McManus took the gold in 33:40, followed by Combs in 34:06, and Rob Verhees in 34:22 for the bronze. Ken Ernst came 4th and Nat Larson 5th in 34:34:41. Blaich was running as a 49 year old and came in 33:43, twenty-three seconds ahead of Combs. Lemme finished in 34:28, just ahead of Ernst. Hammer is the one to beat; he won the M45 division in 33:10 last year. Hammer also finished 2nd overall in the USATF 10K Championship in April in 32:47 and more recently clocked a 1:12:12 half marathon in September and took 5th overall in the USATF-New England XC Championships, 8 seconds behind the winner, Mike Galoob. Hammer appears to be in good form. The other indicator we have is the USATF 5K Championship in Syracuse where several of these runners met. Of course this race is Cross Country, not roads and 10K, not 5K; that makes a difference but the 5K results are still instructive. Blaich came in first M50 in 15:48, followed 7 seconds later by Combs, 2 more seconds later by Larson and Arsenault 9 seconds further back. I am picking Hammer, Blaich and Combs to go 1-2-3 but Larson could certainly upset someone's apple cart and get on the podium. And with the likes of Arsenault, Burdett, Lemme, and Stuber pushing the pace, there can be no letting up. 55-59. Five time Harrier of the Year, Pete Magill, is heavily favored if he makes it to the starting line. Out all of 2015, Magill has not been able to race as consistently this year as some of us anticipated. He has two excellent outings this fall however and now looks ready to go. He ran a 15:55 at the Plymouth Rock n Run 5K in late November; that time is faster than the current American M55 record but apparently the race was not run perfectly according to the original certification so Magill did not bother to submit it. Earlier in November Magill was the first M55 across the line and 5th overall in the So Cal 5K XC Masters Championship race. Daniel King, the defending champion, is not entered as yet. Others who should be in the hunt for a podium spot include Kerry Barnett, Pete Bottomley, and Michael Smith. Barnett has 3 10K's this year ranging from 35:52 down to 35:03. 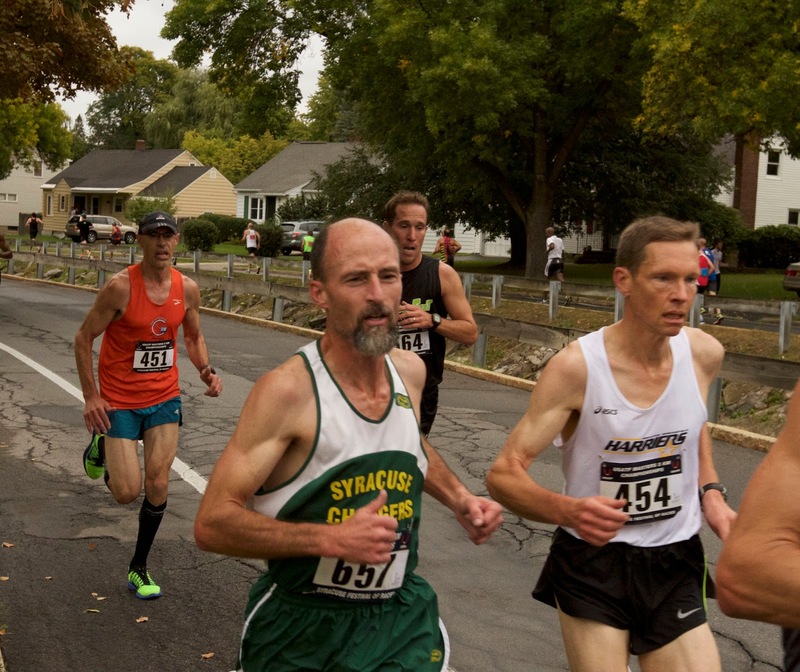 He finished 2nd to his teammate, Dave Bussard, in the USATF 5K Championship at Syracuse in 16:55. 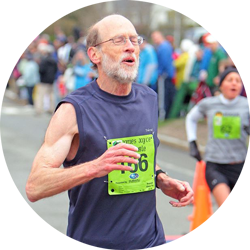 Bottomley ran a 36:08 at the USATF 10K Championship at Dedham; the only 55-59 year olds who beat him were Mark Reeder and Brian Pilcher. Bottomley also ran a 34:08 10K and was 1st M55 in at the USATF-NE XC. 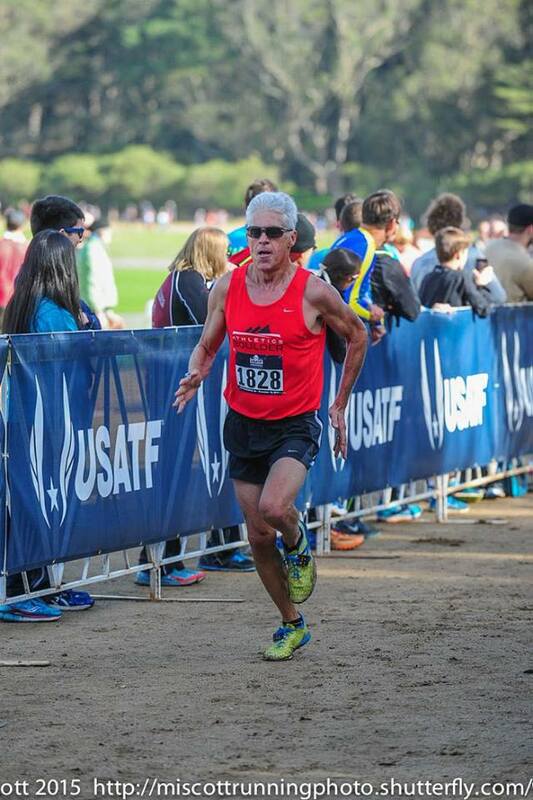 Michael Smith ran 36:02 at the 2015 Club XC Championships, taking 3rd in the M55 division. Apart from that he appears to mostly participate in trail runs where he is typically the first runner in over the age of 50 and sometimes makes the overall race podium. Other strong runners who will be pushing the pace include Gary Droze, William 'Hugh' Enicks, Ruben Henderson, and Joseph Mora III.